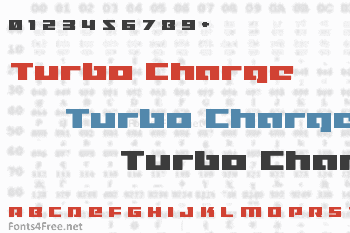 Turbo Charge font contains 218 defined characters and 154 unique glyphs. 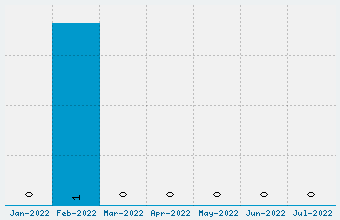 The font contains characters from the following unicode character ranges: Basic Latin (93), Latin-1 Supplement (96), Latin Extended-A (7), Latin Extended-B (1), Spacing Modifier Letters (2), General Punctuation (15), Currency Symbols (1), Letterlike Symbols (1). 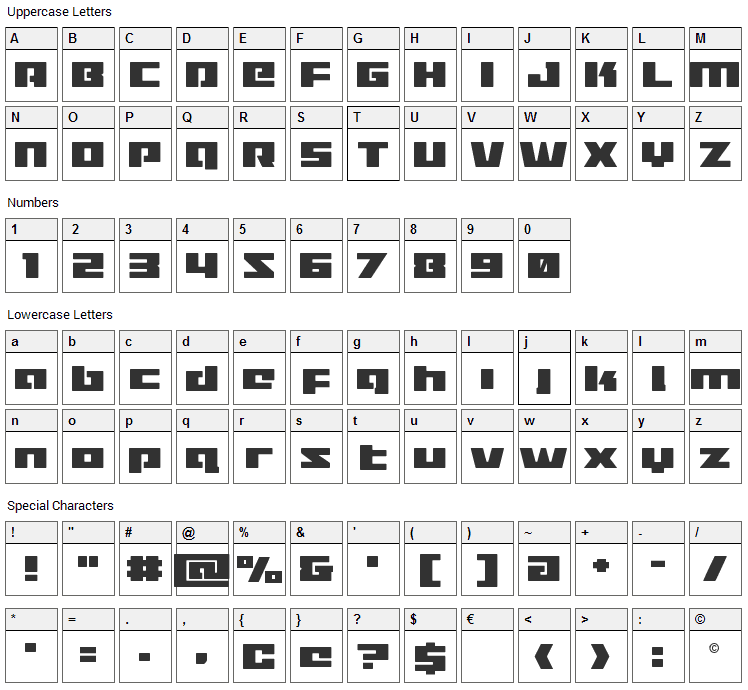 Turbo Charge is a techno, science-fiction font designed by Iconian Fonts. The font is licensed as Donationware. The font is free for personel usage. A small payment is optional and always appreciated. In doubt please refer to the readme file in the font package or contact the designer directly from iconian.com.